Sometimes getting healthier isn’t about the choices you're making, it’s about the choices you should stop making. To live your best, healthiest life, try to add some of these tips to your health and fitness routine. 1. Stop with the excuses. Everyone has the same amount of time, and to give you some tough love: people who are busier than you are finding time to workout. 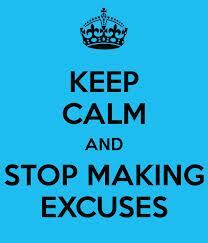 Do away with the energy-defeating excuses and create time in your day to exercise. You'll feel so much better after you do. Working out on the occasional Thursday isn’t going to keep you healthy. Come up with an exercise plan that works for you and stick to it. Maybe you do cardio three times a week and strength training twice a week. Or maybe you'll power walk a couple days a week and swim laps on weekends. Get exercise on your calendar most days of the week, and give yourself one day to skip instead of skipping six. 3. Stop self defeating thoughts. If you say, I don’t like exercise, guess what? You won’t like exercise. Approach it from a different angle instead. Ask yourself:What exercise would I enjoy? What form of activity will motivate me to do it each day because I like it? Maybe it’s playing soccer with your kids or going for a walk with your neighbor. You have endless options—play a sport, join a gym, take a ballroom dance class, swim, hike, ice skate or rollerblade. No matter what your age or physical ability, there is something out there for you. You just need to find it. 4. Stop ignoring strength training. You don’t need an at-home gym or free weights to build muscle, there are many resistance training exercises you can do with your own body weight and you can always incorporate good, old fashioned push-ups. Try some squats and lunges. Don’t forget the plank position too—it’s a great strength builder for your whole body. Pay attention to what you eat and why. Instead of losing yourself in the fridge for comfort, ask yourself what’s going on with youinstead. Slow down. Decide to eat healthy first and once your appetite is satiated, you probably won’t be craving to overindulge. 6. Stop avoiding the scale. Advice about weighing yourself has always been all over the map. Some experts think weighing yourself daily can be defeating if you see a slight increase because of water weight gain, but weighing yourself daily is a great way to gauge how you are doing. Just be realistic about it and don't give the scale permission to determine how you should feel about yourself. Don’t freak out if you're up a pound or two one morning. Just use the scale to track your weight and keep your health top of mind. 7. Stop skimping on sleep. You need eight hours of sleep a night for your health. You also need it for your waistline. 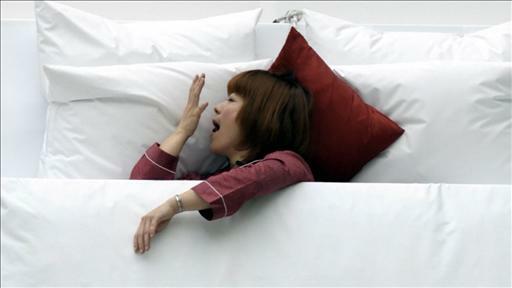 When you don’t get enough sleep, it drives down leptin levels, which means you don't feel as satisfied after you eat. And a lack of sleep causes ghrelin levels to rise, which stimulates your appetite and you get hungrier. With eight hours of sleep, you'll be well rested and more likely to make great decisions—to do or not to do—for your health. What are you going to STOP doing for your health? We are interested if your habits have changed after reading this so be sure to check back and leave a comment, be good to yourself!